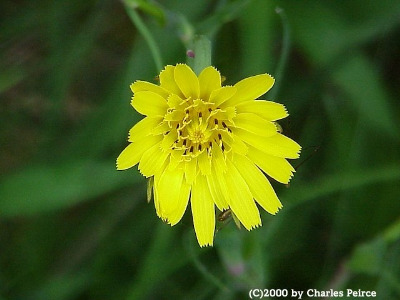 Like the other members of the genus, inhabits roadsides and railroads, fields, fencerows, clearings, disturbed places, and shores. 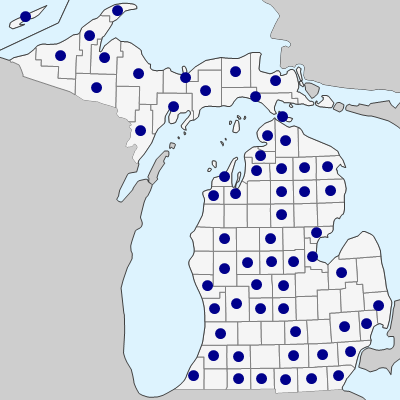 Our earliest collections are from Kent and Van Buren Cos. in 1880, but other counties in the 1880’s include Mecosta, Ingham, and Ionia, so the species must have been well established by then. The achenes are smallest in this species, running at maturity ca. 1.8–2.5 cm long (excluding pappus). MICHIGAN FLORA ONLINE. A. A. Reznicek, E. G. Voss, & B. S. Walters. February 2011. University of Michigan. Web. April 21, 2019. https://michiganflora.net/species.aspx?id=509.